A well-seasoned tuna mixture puffs up during baking due to the addition of whipped egg whites in the mixture. This makes an excellent main dish for lunch or supper for family or guests. 1. 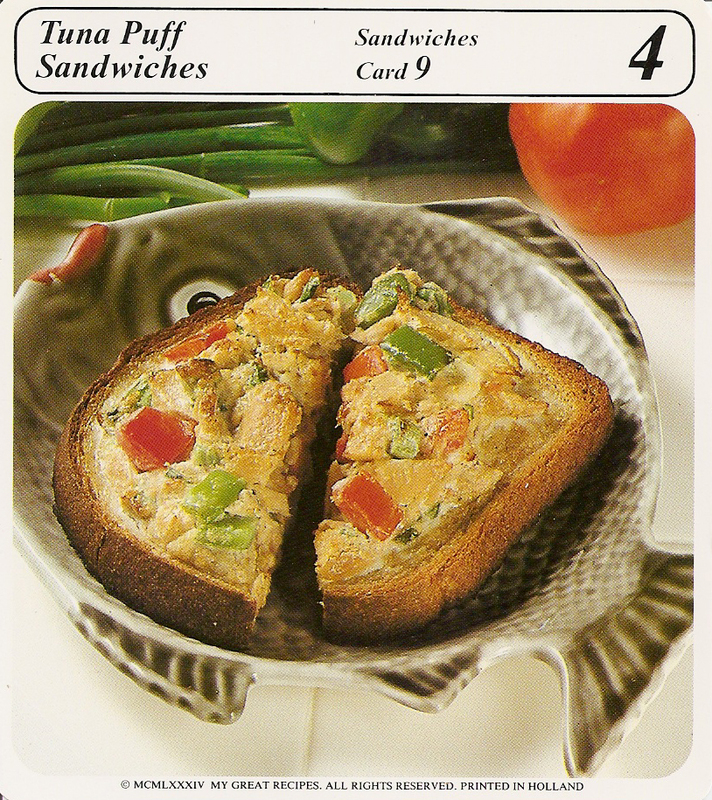 Blend together tuna, tomatoes, green pepper, onion, mayonnaise, lemon juice, salt, oregano and pepper. 2. Beat egg whites until stiff and fold in the Parmesan cheese. 3. Fold egg white mixture into tuna mixture. 4. Divide mixture among the toasted bread slices, mounding it high in the center of each piece. 5. Place on ungreased cookie sheet. Bake at 450°F for 10 min. or until tops of sandwiches are lightly browned. Serve immediately. Tips: For lower caloried sandwiches, choose tuna packed in water rather than oil. To make appetizer sandwiches, cut toast into quarters, mound the filling on the tiny toast squares and bake just before serving.